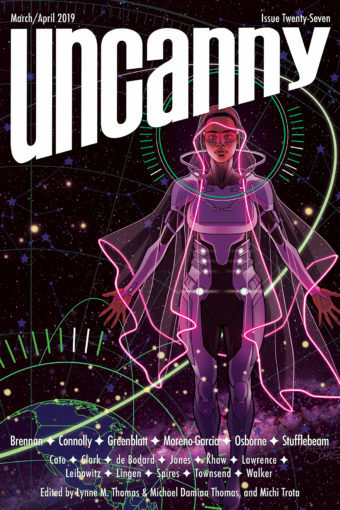 As you might recall, one of our backer levels in our Uncanny Magazine Kickstarter was a level where you could request a blog post of your choice by one of our phenomenal writers. The extremely generous Sara Glassman asked for a review of the novel Angelmaker by Nick Harkaway. The immensely talented Kat Howard has written this review on her blog for Sara, and you can read it here.